What happens to that little man on the side of the rubbish bin when no-one is looking? He creates a whole universe out of people's paper, with a paper sun, paper trees, paper flowers and paper butterflies. 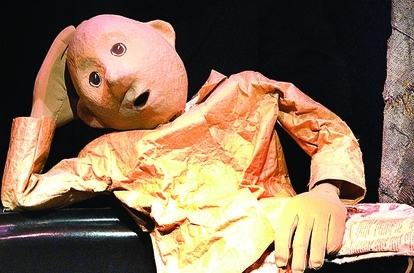 Short and simple, yet rich with emotion and humour this is a beautiful show for children and is not to be missed. Presented by Expressions Whirinaki Arts & Entertainment Centre in association with Little Dog Barking Theatre.